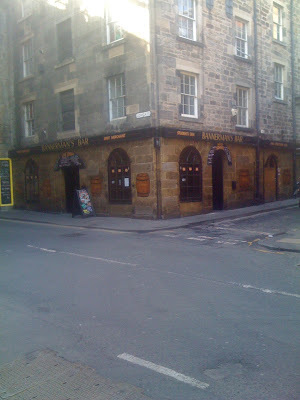 Sometimes I am in the right mood to be charmed by a pub, and today I fell victim to the charms of Bannerman's. We've been watching Game of Thrones recently, where a Bannerman is the name of the soldiers that rallied to defend the North. But there is nothing Fantasy about this pub; just straight-ahead rock and roll and unpretentious good times. I drank a delicious Broughton Clipper IPA, their nominee in the "30 Days of IPA" festival taking place during the month of April. 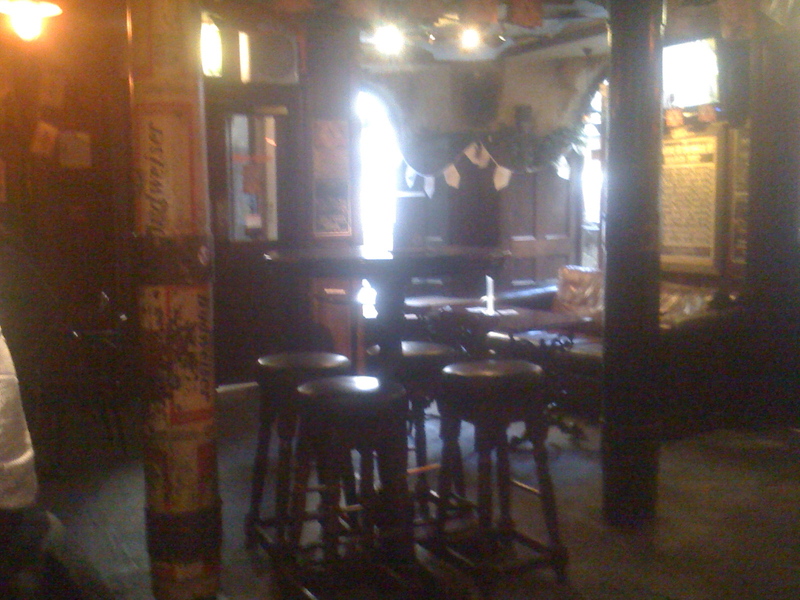 The Irish bar manager was very friendly, and happily showed me around the place. She was particularly proud of their live music area, which is built under South Bridge right amidst the the historic and spooky vaults of Edinburgh's Old Town. If you walk by on Cowgate you can hear the music through the ventilation shafts that empty onto the street.